There are a lot of aging public infrastructures, but many of them have not been inspected yet. That has become one of the major social issues globally. Nations and local governments need to bear an ever-increasing cost of maintenance and management. Inspection tasks have been generally understaffed these days. Moreover it is dangerous for you to work at heights. Drones with spherical shell* can reach places safely where it is difficult for people to go. The drones can go to places much more safely which are dangerous to go. And the computer system can help users with troublesome tasks, such as organizing photos and making reports. So, users can conduct inspections more effectively by them. Drones with spherical shell safely approach the floor slabs and supporting sections of a bridge. The spherical shell protects both inspected structures and drone itself from shock. Moreover, drones can keep an appropriate distance while flying. Even an inexperienced operator can use it more safely. 3D models and panorama images are generated from close-up (macro) photographs. We take advantage of Ricoh’s cameras and image processing technologies to automatically rebuild the photographed images. Users do not need to check the photographs one by one manually; they make it easier to detect damaged points. The system provides assistance in making reports according to the inspection procedures. Instead of user, the system accomplishes troublesome tasks such as linking the photographed images with position information. 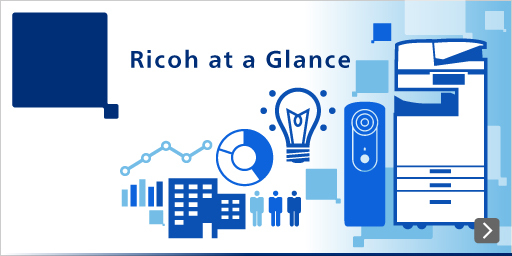 Ricoh is committed to contributing to the safety and security of society through image processing and system integration. Further examination will continue for ways to apply the technologies to the inspection of structures, surveillance, logistics, and transportation. *The development is a joint effort with Tohoku University, Chiyoda Engineering Consultants, Japan AeroSpace Technology Foundation, and Tokyu Construction with the support of Infrastructure Maintenance, Update, and Management Technologies activities (supervised by NEDO) of the SIP (Cross-ministerial Strategic Innovation Promotion Program) of the Cabinet Office.